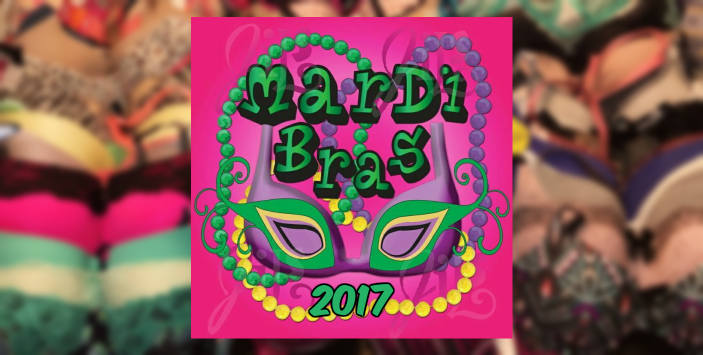 With the annual Texarkana Mardi Gras celebration a group of local women take the opportunity for Mardi-BRAS, a chance to reach out and help other women in need of the most intimate of items and sanitary needs. Womenfolk!!! We all have that one…or ten…stories about THAT TIME OF THE MONTH!!! Each and every single one of us has had “that moment” when mother nature comes to call and we are nowhere near prepared. We don’t have a tampon or a pad. Now…take that scenario and add, “and I was homeless and had no money” to the mix. Didn’t think of that did ya? What would YOU do if you needed feminine hygiene products but you were on the street with no job, no money, no help? The last two years we were able to collect enough feminine hygiene products and donations to cover the monthly needs of 100 women for an entire year. It’s time to meet those needs again. On Saturday February 25th, during the Mardi Gras Parades and celebration, you can drop items off at “Heat it Up” at 115 Main AND “Best Ditches of Texarkana” at 205 E Broad will have a donation box in their alcove. Drop off times on Saturday, February 25 between 12:00 p.m. and 3:00 a.m. Saturday, February 25.